What Isn't Covered in Medicare? If you are thinking of getting Medicare to help with your medical bills or because you are finally eligible, there are some things you should know about Medicare coverage. Medicare Part A and Part B are included with Original Medicare, and these parts only cover certain costs of medical care. For instance, Medicare doesn’t pay for anything that qualifies as dental. So what isn’t covered Medicare Part A and Part B, and what can you do to get coverage? This guide answers both of these questions. Facility drugs, medical supplies and appliances like casts, splints, wheel chairs, etc. Medicare Part B is medical insurance that will cover basic medical services that you receive from doctors, laboratories and clinics. The following are services covered by Medicare Part B. All preventive care services are covered, but you may be surprised at the lack of care for your teeth. While some oral surgeries are covered, most dental work is not. Vision, hearing and even podiatry may not be covered. Medicare Part A or hospital insurance will pay for basic services and some specialized needs, but mostly it will only take down part of the cost if you need something special or if you are looking for some kind of extra service like dental. Here is a list of what’s not covered in Part A.
Medicare Part B is an extension of Part A and also doesn’t cover all of the services that people may need to visit a hospital or doctor for. Medicare Part A also only pas for certain parts of the hospital bill for any amount of time that you visit. In fact, for each event where there is a hospital visit, you must pay a deductible before Medicare pays anything. In 2013, that deductible was $1,184. Deductibles aren’t new with insurance, but it’s important to understand the costs. Medicare Part A will pay for the first 60 days that you are considered inpatient in a hospital. All of the cost of covered services will be paid for through Medicare. However, once your 60th day in the hospital starts and to the 90th day, you will pay a “coinsurance amount” toward the hospital costs. Medicare only pays the rest of the costs. That coinsurance amount in 2013 was $296 per day. If you decide to stay longer than 90 days for one event of illness, you can use up to 60 additional days of reserved days of coverage. During these days, you are still responsible for the coinsurance payment each day. You don’t have to use your reserve days for one event of illness. You can always separate them up and use over different benefit periods. However, you will only have 60 days of reserve days for your entire life. If you find there are too many gaps with Medicare Part A and Part B, you’re not the only one. Medicare doesn’t cover everything. If you need certain services that aren’t covered, then you may have to pay for them yourself. However, there are a few things that you can do to get coverage if you need a service that isn’t covered by Medicare. To get coverage for co-pays and coinsurance, you can qualify for Medigap if you have Original Medicare. This is a type of insurance sold by private companies that will pay some of the health care costs that isn’t covered in Part A and Part B. It may even cover you if you decide to travel outside of the United States. Each Medigap policy is different, so it’s important to care each of them and find the services that you need. Medicare Part C combines Part A and Part B as well as extra services through a private health insurance carrier that is approved by Medicare. You can get all of your services covered under Medicare Part C as well as a few extras. For example, many Medicare Advantage plans come with dental and vision services including exams. Each of these plans has different services offered, so it’s best to compare each one to find the list of services that you need. One major advantage of these plans is prescription drug coverage, which is included. Prescription drugs are covered under Medicare Part D, but you aren’t automatically included in the program when you get Medicare Part A and B. You have to sign up separate with Part D with a private health insurance company that is approved by Medicare. This means that you have another card to access your coverage through. 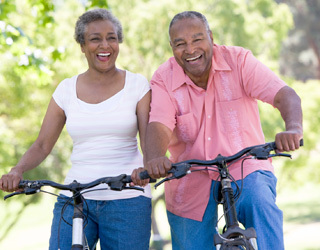 Part D is typically included with most Medicare Advantage Plans. Supplemental Medicare coverage can pay for many of the services that aren’t covered and at least pay for part of the costs so that your out-of-pocket costs are less expensive. You can also use the Medicare coverage tool on Medicare.gov to see if specific services, items and tests are covered.